Christi has managed Brandenburg Snap Fitness since 2010. She was raised and in Meade County. She enjoys fitness and managing Snap of Brandenburg. She will be glad to answer any questions you have about the club. 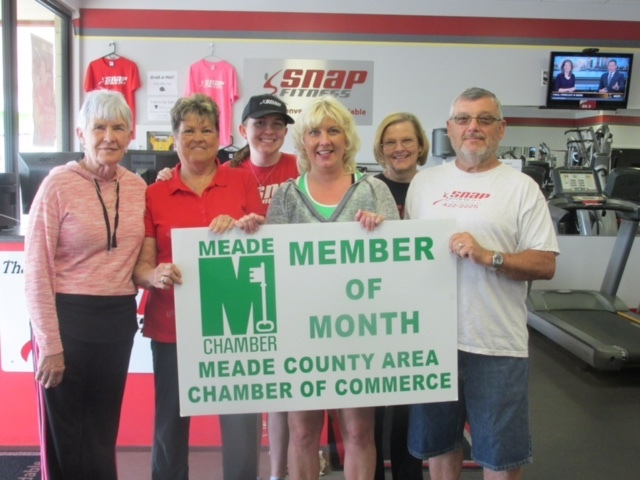 Snap Fitness of Brandenburg is a family ran business owned by Larry and Cheryl Brewer. They have lived in the community since 1979. Larry is retired from Louisville Gas and Electric and Cheryl is still working actively as an RN. Abbi is a sweet program assistant with an infectious smile. She can help you with questions and get you set up on getting started to a better fitness goal. Fay is an asset to Snap. She has managed curves in the past and other Fitness facility's. She is here to help answer your questions. Brandenburg Snap Fitness is located at 526 Bypass Road, Brandenburg KY 40108. We are between Kroger and Subway in the River Ridge Plaza with 24/7 access. Get in shape, sculpt, lose weight, feel better and have more energy. Let us personalize a workout for you. Sign up for a membership and receive a free personal fitness assessment. Stop by and check us. Get started on your way to a healthier life style. CHECK OUT OUR CURRENT SPECIALS!